Mumbai: A maiden ocean sailing race was flagged off by Vice Admiral Girish Luthra, Flag Officer Commanding-in-Chief, Western Naval Command, in the morning on 01 December, from off the Gateway of India and Naval Dockyard, Mumbai. The race has been organised by the Western Naval Command as part of its Golden Jubilee. Seven yachts, including those from the Royal Bombay Yacht Club, Bombay Merchant’s Club and the Western Naval Command are participating in this overnight race. All yachts are larger than 7.5 meter in length with a fixed keel and will race overnight over 85 nautical miles in the open sea. Round One of the race will mark off from Murud Janjira followed by another mark 20 miles into the sea before sailing back to Mumbai. The yachts will have to navigate through commercial shipping and fishing traffic whilst racing against their counterparts. This is the first time that an ‘Offshore Race’ has been formally organised for larger boats. 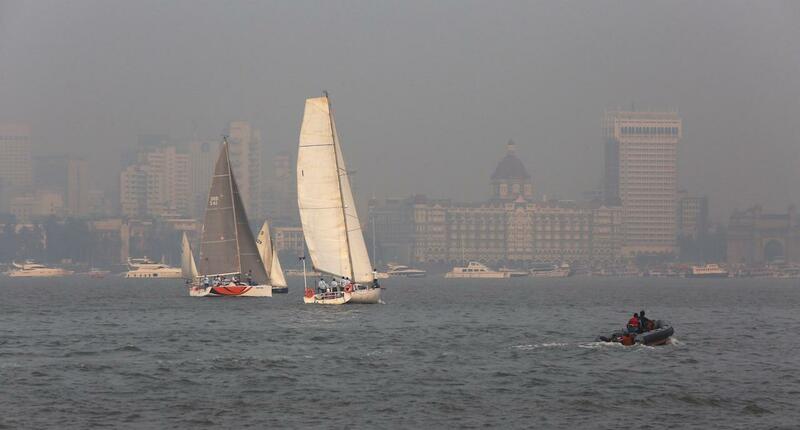 The race celebrates Mumbai’s strong maritime heritage and also aims to enhance Mumbaikars’ connect with the seas. The Western Naval Command has, since its inception, been the backbone for promoting yachting events at the national level as well as at Mumbai and with the Golden Jubilee Ocean Sailing Race, the Command plans to lay the foundation for Big Boat racing in India.